Introducing Riptide Pools, a fantastic alternative to traditional swimming pools. 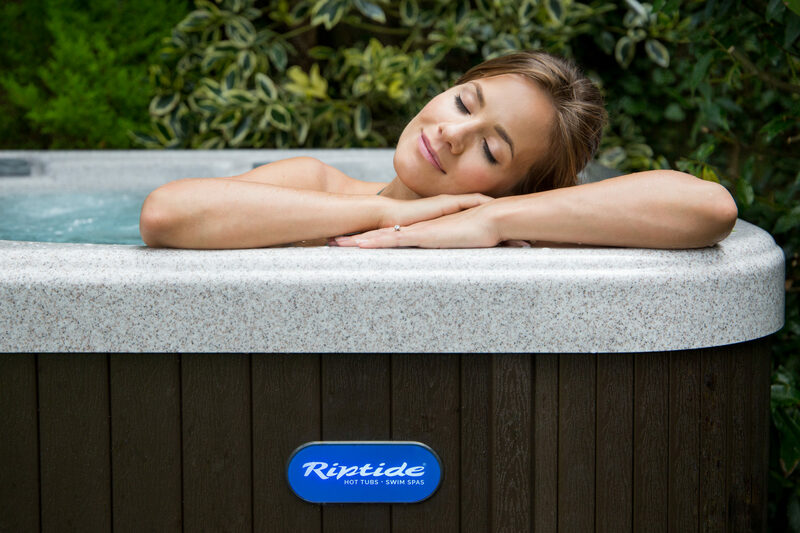 With a comprehensive range of swim spas, Riptide has a model to suit you and your lifestyle. 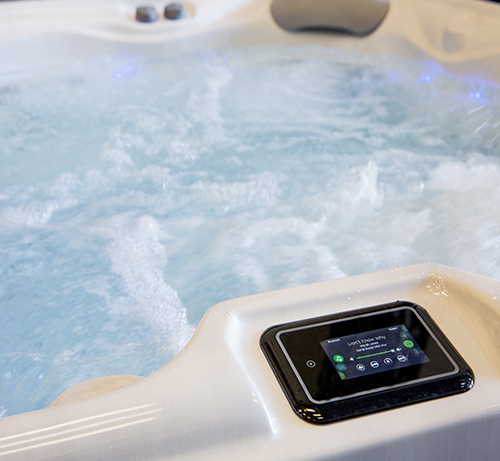 From the Hydros, with its compact hot tub and counter-current combination, right through to the heavyweight Poseidon which features a high specification hot tub married to a powerful exercise pool for vigorous exercise. Read on and decide which is the right Riptide model for you! One volume of water with spa and swim combined. The hot tub end features powerful hydrotherapy jets for relaxing, the swim end features powerful counter current jets to swim against. The spa and swim areas are in separate volumes of water with dedicated temperature controls. Adjust the temperature to suit the activity in each end – warmer water in the hot tub end for relaxing, cooler water in the swim end for exercise. Single volume of water with a superior depth of 1.5m and featuring wide-mouth high volume counter current pure water jets that create no air bubbles. Extra features include a swim line to help maintain the correct position in the pool in relation to the counter current jets. As the Atlantis and Nautilus are designed purely for exercise they have no hot tub features. Owners who also want the benefits of a spa can purchase a separate hot tub in matching shell and skirt colours. Please use the links below to browse our range. The table below shows a summary of the counter-current options available on each model in the Riptide range, to help you to configure your perfect pool. The KiddySwim play pool is a luxury jetted pool built specifically for children. With two fully adjustable swim jets and the same safe water filtration and sanitising as our other pools, KiddySwim is a genuine “fun sized” version of its larger Riptide brothers. 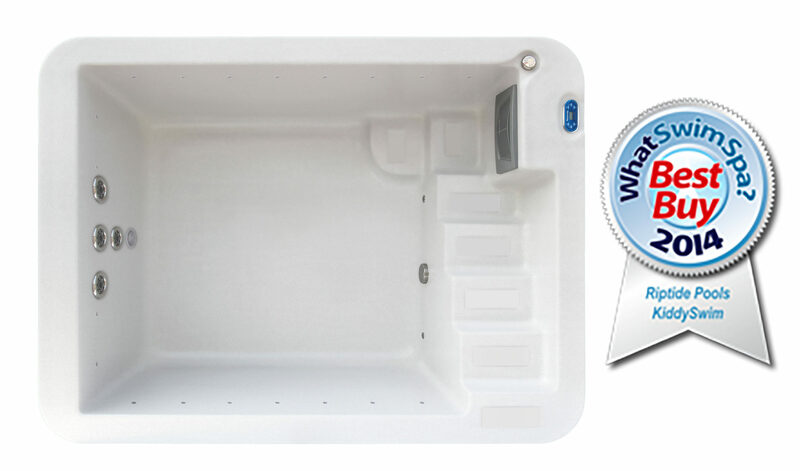 The Hydros Swim Spa offers the combination of a compact swimming pool and hot tub in the same affordable package. The smallest pool in the Riptide range, the Hydros is ideal for both fun and exercise for the whole family, and low impact hydrotherapy too. The Neptune Swim Spa is perfect for growing families and adults too. Offering the rewards of your own swimming pool, as well as the ability to unwind and relax in the spa end, the Neptune can accomodate bathers in the spa end and steady swimming at the same time. The Titan Swim Spa offers a massive amount of swimming space, paired with a superb spa end which provides all of the luxury of high end hot tubs & spas. It shouldn’t be purchased for the excellent spa, however, as this is a serious exercise pool with high power swim jets for 33% more current than regular exercise pool jets. The Poseidon Swim Spa is an exercise pool and luxury hot tub combined, with two bodies of water providing the perfect experience at both ends. The water in the spa end is hot for bathing, while the swimming pool end at the right temperature for intense swimming against the powerful swim jets. The Manta Swim Spa is the largest combined swim and spa in the Riptide range, and fantastic when used as both exercise pool and hot tub. The Manta is equipped with two 4 HP pumps and two 2 HP pump. With the addition of a varaible speed drive with 10 speed control, the Manta 5.5 Pro lets the swimmer select the best water speed to suit their fitness and stroke. With a superior depth of 1.5m the Poseidon XL and XL Pro feature four powerful Turbo counter current jets for the ultimate swimmimng workaout. 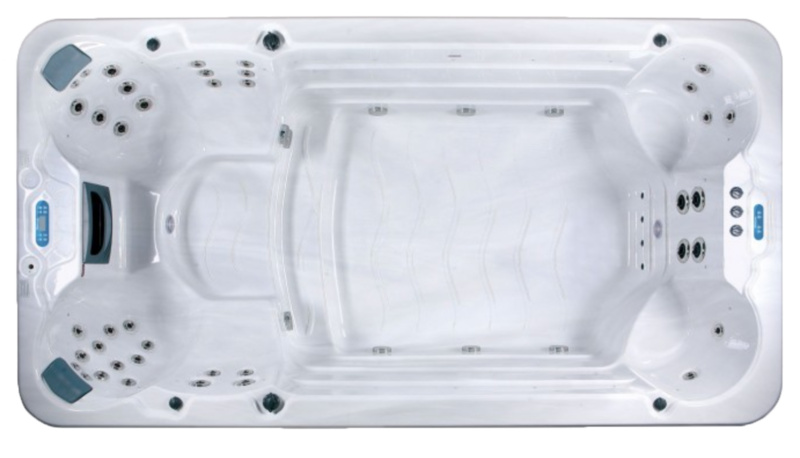 The Oceana Exercise Pool is a powerful exercise pool which is compact enough to fit in smaller spaces than our largest pools, and is perfect for siting next to a new or existing hot tub, offering a flexible alternative to all-in-one two volume swim spas like the Poseidon. The smaller of our two full-on exercise pools, the Atlantis allows you to enjoy the full benefits of our top end swimming machines even when space may be limited. The Atlantis is designed to allow room for both adults and children to swim as vigorously as they choose using the control panel to adjust the power of the counter-current. Experience a perfect combination of power and beauty in the Nautilus and Nautilus Pro in-ground exercise pools. The Nautilus is specifically designed for in ground installtion. Supplied with a watertight sturdy fibre glass outer shell and with all working parts, electronics and power supply at the jet end, it is quick and easy to install.